PH Tool Reference Standards Blog | What is EDM? 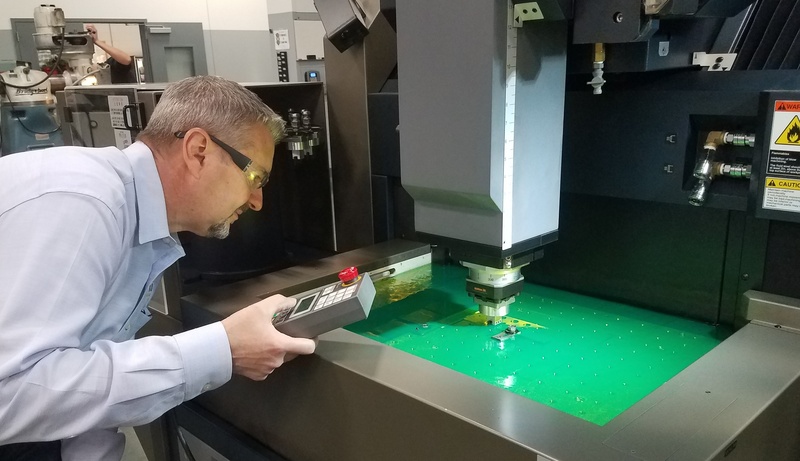 In the metalworking industry, EDM stands for “Electrical Discharge Machining,” a nonconventional method of metal removal utilizing an electrode to machine the chosen shape into a workpiece under tightly-controlled conditions. PH Tool employs both low-energy sinker EDM and ultra-fine wire EDM in our production facility. Over 50 of the 100+ machines in our facility are EDM workcenters, the balance being CNC mills, lathes, grinders, and other support equipment.